Let me introduce you to the most sleek, stylish looking headphones ever made. Just last week, I got introduced to these headphones made by a Japanese brand called Amadana. About the company, they deal primarily with innovative and stylish products for the home. SAL headphones are basically their newest range of electronic products and are exclusively sold in Japan. The A series features a stylish retro look, and is made of synthetic leather. 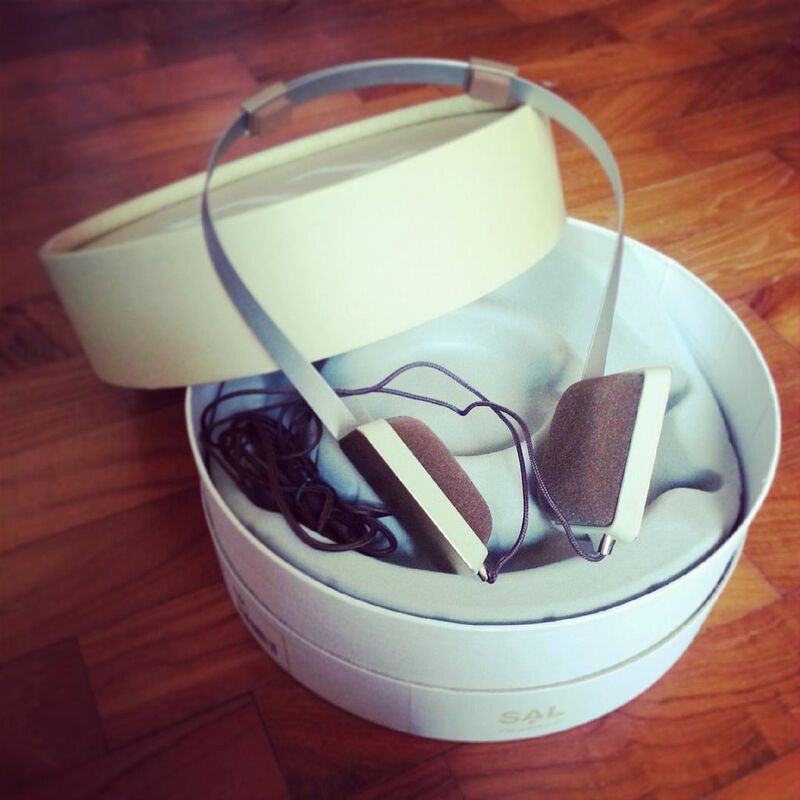 Comes in light brown, black, chocolate and khaki these headphones are priced at S$99. B Series on the other hand, is more modern and simplified. It comes in cream, black, wine red and deep blue. With a polished gloss finish they are slightly more expensive at S$169. The C series is their pop candy range. Made of synthetic leather they come in yellow, sky blue, pink and beige. They are priced at S$129. The A, B and C Series features a hinge to fold the headphones for portability as well as a wired connector enables multiple music sharing. It can link up to 7 other headphones (with the same single split jack). These headphones also come with a tangle free cord that has a mic attached which makes it user-friendly when its plugged in to cellphones/smartphones. All the models possess a linear sound dynamic. They do not immediately impress like the other more aggressive sounding headphones with either boosted highs or bass ie parabolic frequency curves. Generally they do less damage to the ears and are pleasant for long term listening. The different elements of your music such as the bass and vocals are projected evenly to which appeals to general listening. The different styles have their unique aesthetic beauty and ambient noise levels that caters to the different hearing preferences and design taste. For those who prefer more depth and focus in their music can opt for the C series due to its design that keeps the sound isolated. My personal choice would be the D Series. 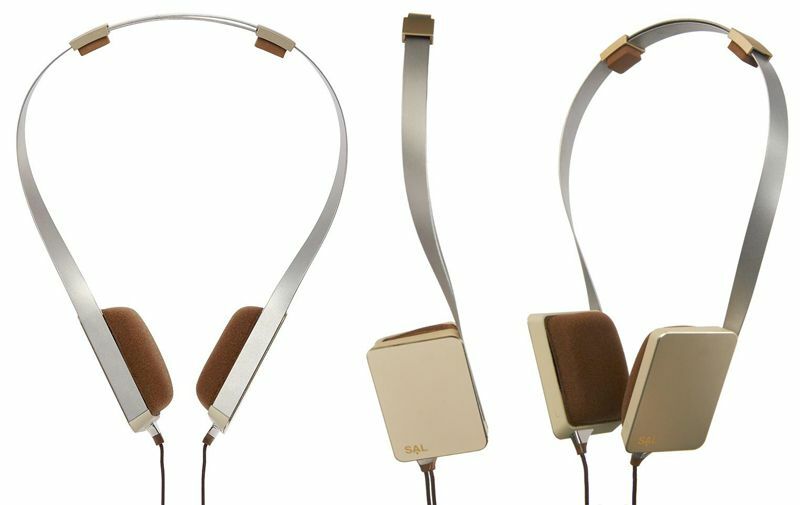 The model above is called D1 in champagne gold, it comes with a pair of extra comfortable ear pads. Although there is no noise canceling feature and no sharing function, for S$169 they are the perfect answer for a sleek and sophisticated headphones, suitable for long hours of listening without sounding too bright. SAL Amadana headphones are available for purchase online from www. audiobar-online.com. International orders via email to ariel@absolutesound.com.sg. You can also get them from Actually+, 118A Arab Street in Singapore.